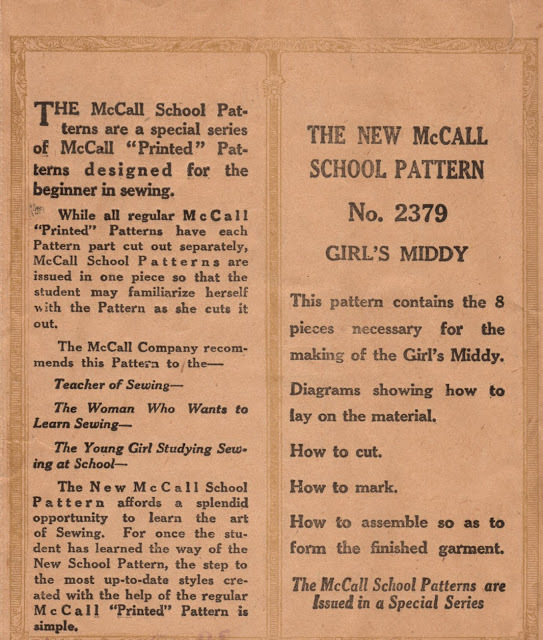 This is one of a special series of "school patterns" that McCall issued for beginners. After mastering other patterns in the series for a nightgown and a petticoat, the novice could move on to this iconic middy blouse. McCall patterns at this time didn't have separate instruction sheets. Instead, the instructions were largely printed on the pattern pieces themselves. This isn't a bad approach. 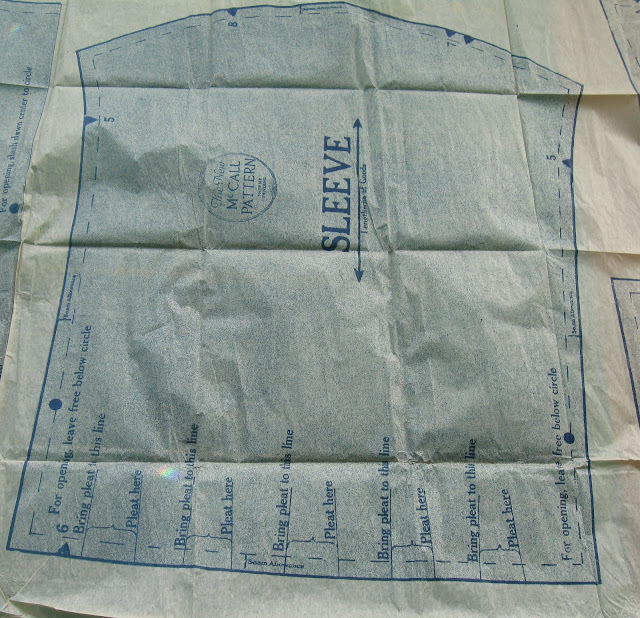 You quickly learn to keep the pattern pieces pinned to the fabric until you're ready to sew them, then to review the instructions on for each of the pieces you're about to sew. 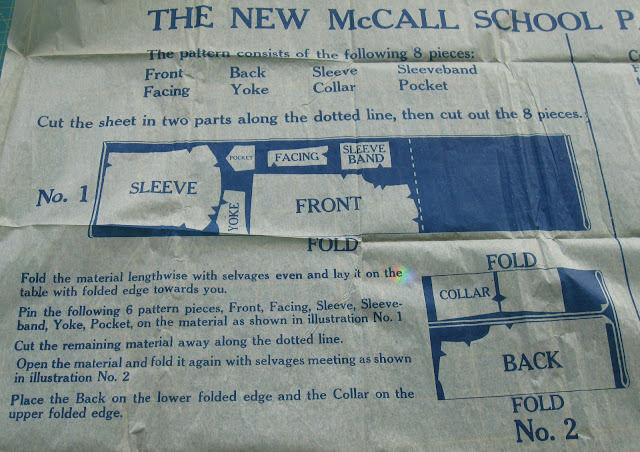 For this series, however, McCall decided to print all the instructions together at the bottom of the sheet of tissue. Look at all those pleats at the bottom of the sleeve! Oh, I like the pleated sleeves! I think my Hopscotch Hill doll needs one of these. 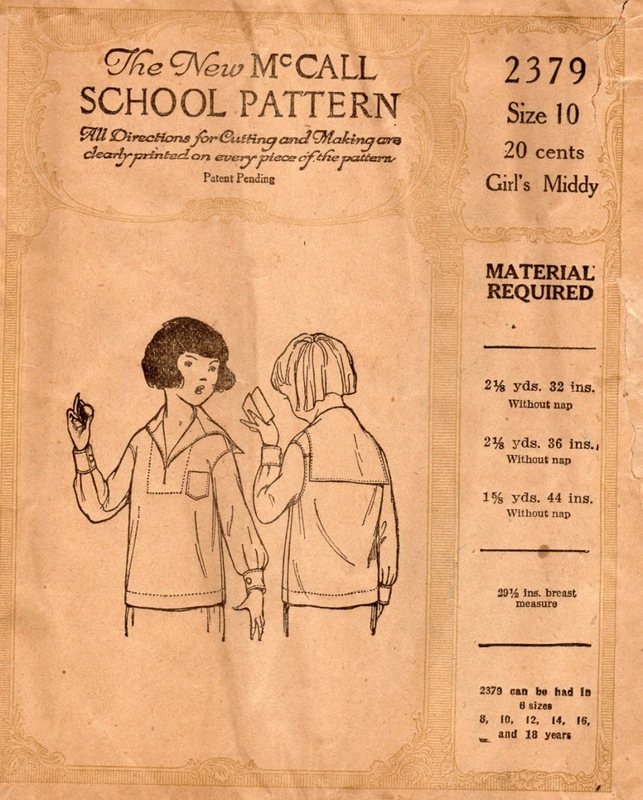 Patterns for middies for both dolls and teddy bears do show up now and again. I haven't yet been lucky enough to be the high bidder for them. so so cute :-) looks like it would be really comfy for a kid as well. 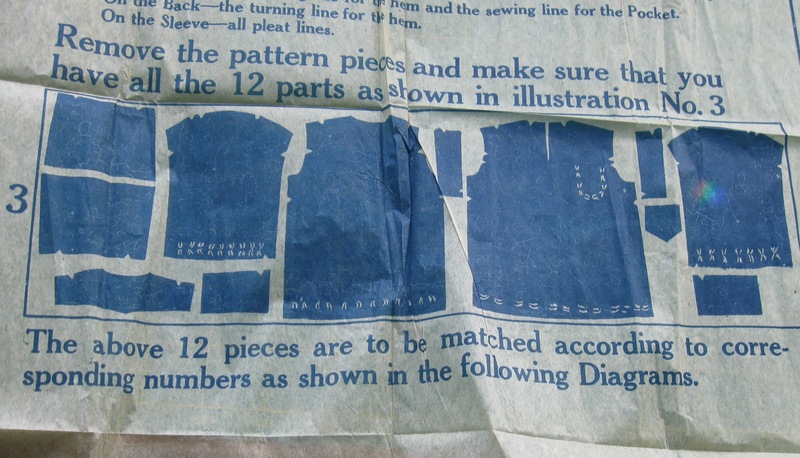 I have been looking for a way of making overalls for myself for when i do some building/renovating work...do you ever come across patterns for overalls or the like? Although overalls patterns for women start showing up in the late 1930s, they become really common in the 1970s and are now quite easy to find on eBay and are relatively inexpensive.